Not trying to be picky, but explaining Kurotsubaki to have been stolen by Shin to the US is a tough task in the manga now... unless we say that Mikado would bribe the LV police into telling a made-up story. Well... let's see. 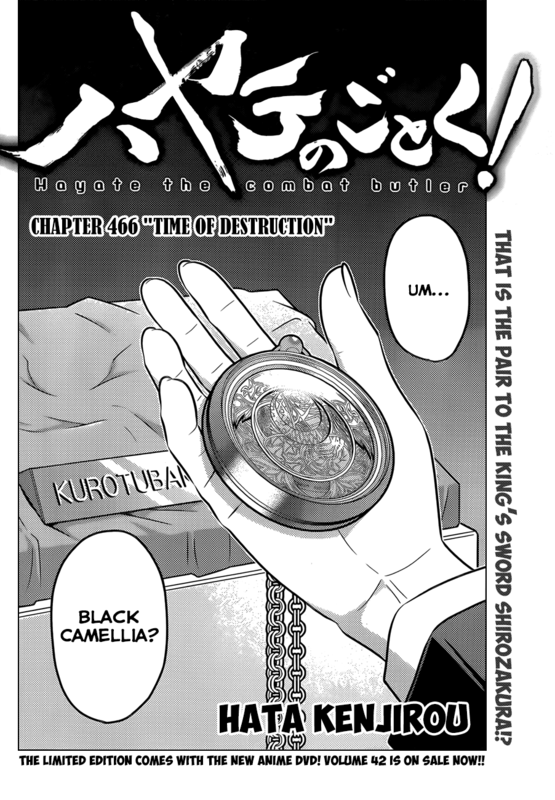 The manga could just say that the Kurotsubaki that Mikado has is a fake. 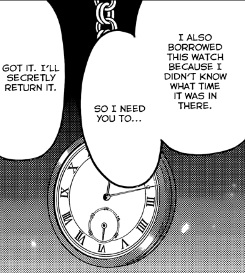 Mikado could have one of his ninjer henchmen just sneak it into Shin's belongings and well... Nagi just forgot about it (ok, not likely... but y'know maybe she just doesn't care enough about some dumb old clock and Hayate might not just mind it. 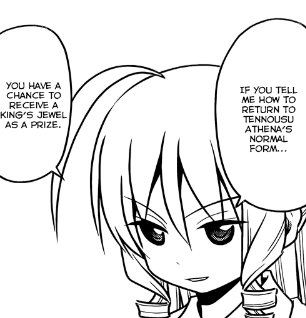 Or... umm... full-grown Athena just uses her powers to mind-wipe everyone. Haha! Just throwing in ideas from out of nowhere. I'll be more convinced if I see the CTMEOY exclusive characters like Ruri Tsugumi introduced differently. I think it will be handled like that one light novel was handled (or even the Lifesavers manga) -- it will be mentioned, and if needed, a limited amount of explanation will be done. Speaking of handling such things... was the game "Nightmare Paradise" ever referenced? It's supposed to have taken place sometime in season 2's timeline, but my Japanese is too terribad to understand the whole story except that everyone sorta fell into a dream and Hayate has to save them one by one coz of some spirit girl thing. I'm not sure. What volume/chapter do you think that would have been referenced in? I actually have no effin clue except that it should be sometime before the Golden Week arc since Nagi's still filthy rich. Yeah, I think A-tan calls the Shirousakura the Houkou (translation issue?) and says it's the counterpart to the Kurotsubaki. I think in the Viz version, they called it Shirozakura. I'd have to look. I disagree that this is the Kurotsubaki, I think it is a replica, placed there by Shin. 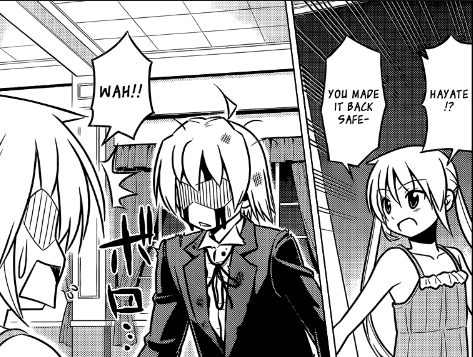 What I think Hata-sensei is doing is try to muddy the waters a bit, as he did with Nagi's doujinshi contest with Ruka. 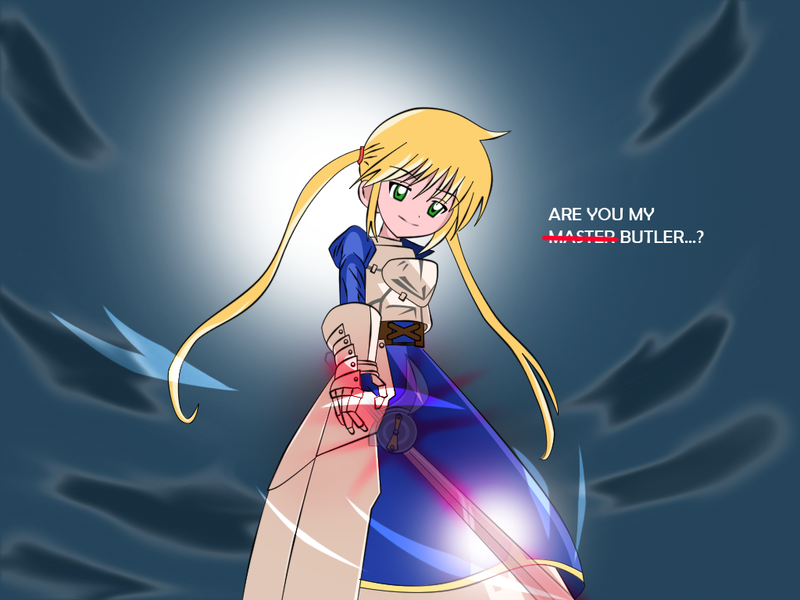 In the anime, that had already been resolved, and the anime ultimately had the cover of Nagi's manga and more, none of which the manga had even begun to tell yet. That's true about Ruka's arc. That's why it seems a bit off to me that Hata would choose to just throw CTMEOY into the trash bin now with all the work he did to make it seem canon with those little hints in Ruka's arc. Also... pardon me if you don't get the reference but... REPLICAAAAAAAAAAAAA! First youtube link via google search for "replicaaaaa." It's actually a reference to a scene from Tales of The Abyss (the PS2 rpg). Pretty obscure stuff, I guess. Well, some folks would get it. I just didn't.